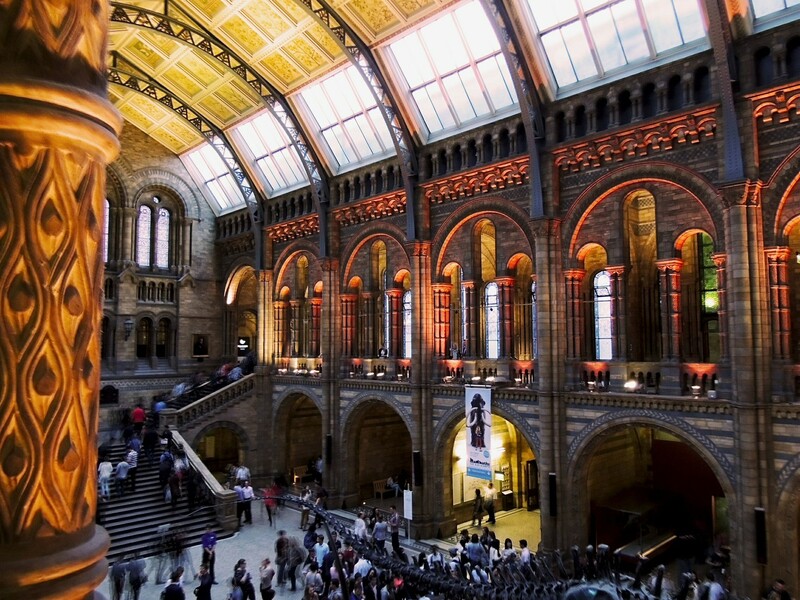 The Natural History Museum is every child's dream; towering dinosaurs, dark corners to hide in and never ending galleries to explore. So for adults it's a haven too. The Naural History Museum is every child's dream; towering dinosaurs, dark corners to hide in and never ending galleries to explore. So for adults it's a haven too. 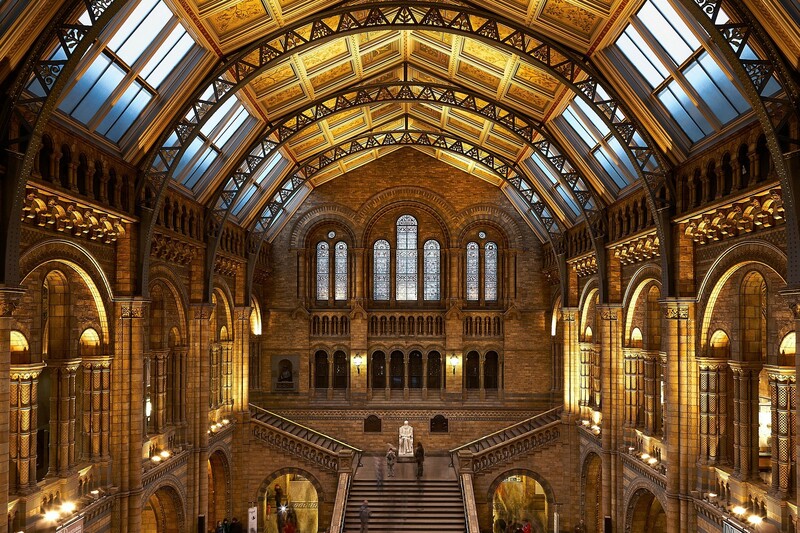 With lots to keep the kids occupied, eating areas to rest weary legs and some of the most incredible specimens housed in an amazing building, you can't go far wrong. 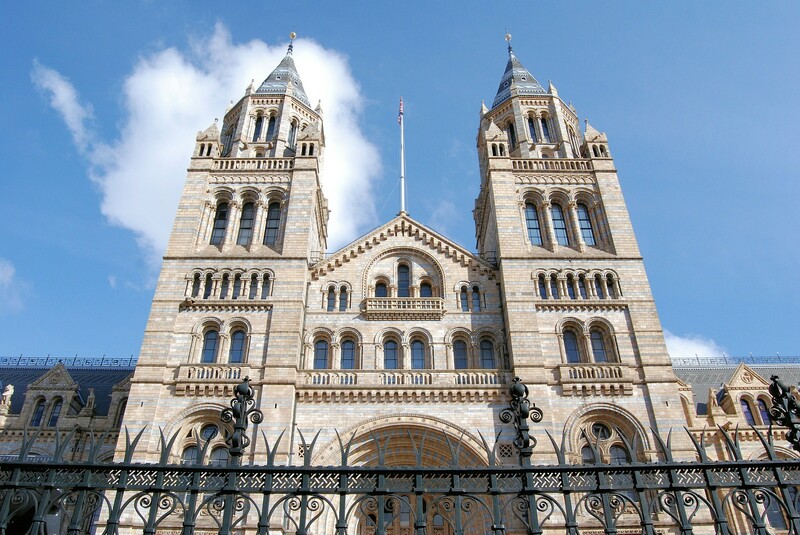 The Museum opened in 1881 housing a collection that had belonged to Sir Hans Sloane. It was originally a department of the British Museum. It includes other notable scientific institutes, such as the Museum of the Geological Society and the Darwin Centre, and in the future, the David Attenborough Centre, which will be a multimedia studio, built to provide an environment for educational events, building on the programme of events already put together by the Darwin Centre. Today it is a colossal collection of some of the wonders of the natural world. From the pregnant ichthyosaurs giving birth to the giant globe that houses the exhibitions of the Geological Society, it is a tribute to Mother Nature herself. And quite rightly, the museum will bring out the latent David Attenborough in almost any adult. The exhibits range from the iconic - most of us will have wandered under the blue whale, mouths open in awe - to the cutting edge. Open daily from 10.30 to 17.50. Last admission at 17.30.